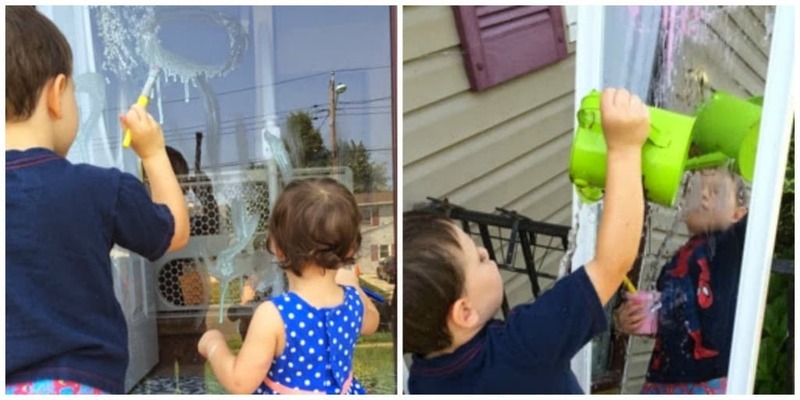 Make your own homemade window paint and take it outside! This is a simple recipe I first saw here that the will kids will love to make and make again. Paint and wash, paint and wash. Pretty easy right?! I like the consistency to be slightly thick so if you feel that you need to add more cornstarch/less water go for it. As a side note, we made liquid watercolors by soaking dried up markers in water overnight. You would be amazed at how much color is actually left in those things! I have saved the watercolors in old smoothie containers and love using it as a great alternative to food coloring because they are washable. 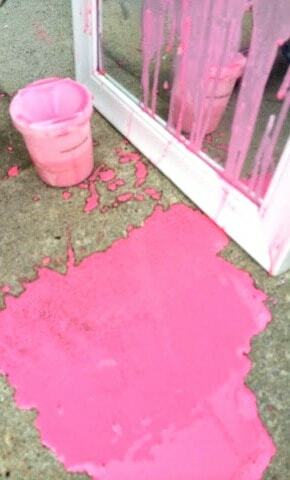 I decided to give the kids the option to paint on either a mirror or the glass door. If you haven’t yet tried mirror painting with your kids, do it! It is a great experience for them. The paint looks so neat on the mirror and they can actually watch themselves paint which is always fun. The glass also makes for a nice easel outdoors. The paint looks beautiful with the sunlight shining through. I know this looks incredibly messy but trust me clean-up is a breeze! And as an added bonus..this kids can clean this up all by themselves…my kind of project. 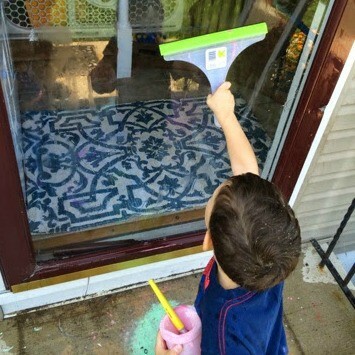 They used a watering can to wash off the paint (thanks to the dish soap it comes off quite easily)…and then a squeegee to dry it off! Check out our Gel Sensory Bags and Sunlight and Learning with Sidewalk Chalk and Paint to see some other fun sunlight/outdoor activities.